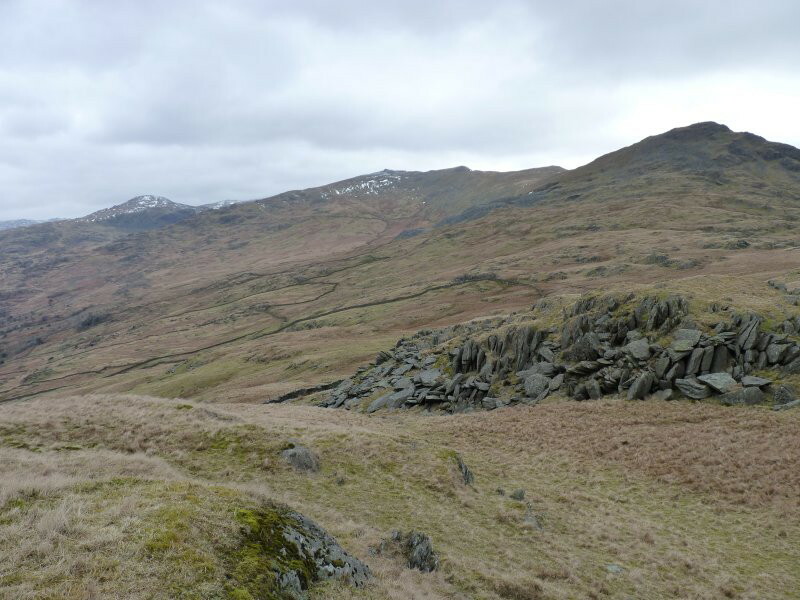 The weather forecast was not to good especially for Bank Holiday Monday (no change there then) but I was determined to get out so I thought I would explore the modest but interesting fells round the Duddon valley. This really was a trip of two halves with Easter Sunday turning out to be a lovely if a bit chilly day. 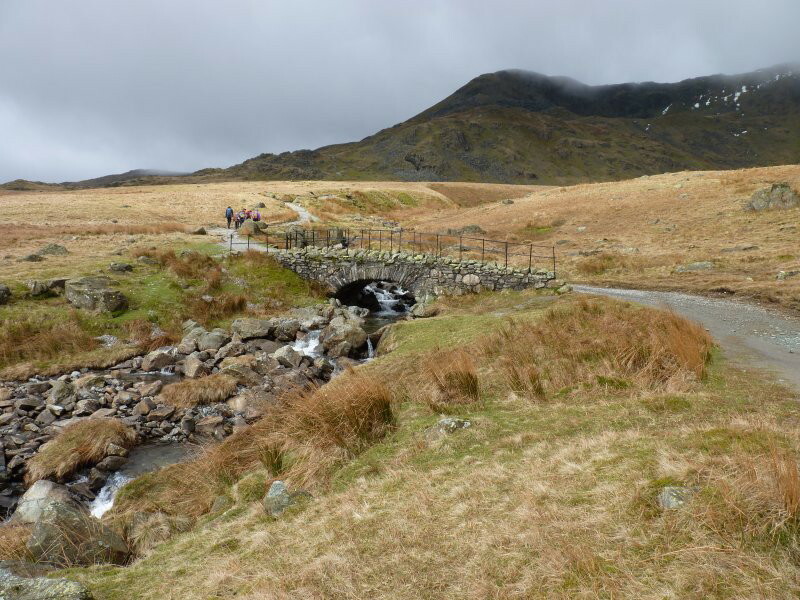 Monday brought torrential rain and low cloud which caused my to alter my planned route. I parked up at Torver and followed the path up towards the Walna Scar road. 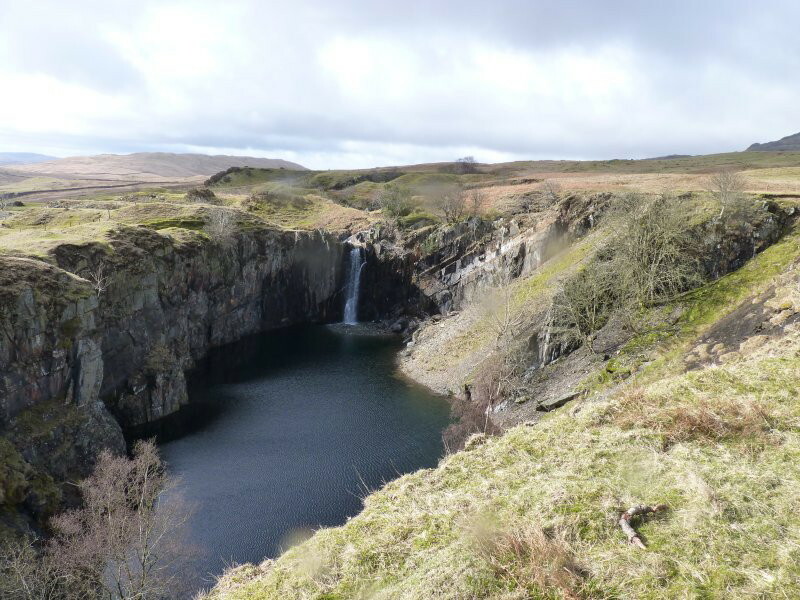 This is the big hole at Banishead quarry. Walna Scar rd is soon reached. The cloud was still hanging round the higher fells. At the top of the pass turn left and its only a short pull up to Walna Scar. This is looking back to Brown Pike - Buck Pike -Dow Crag ridge. 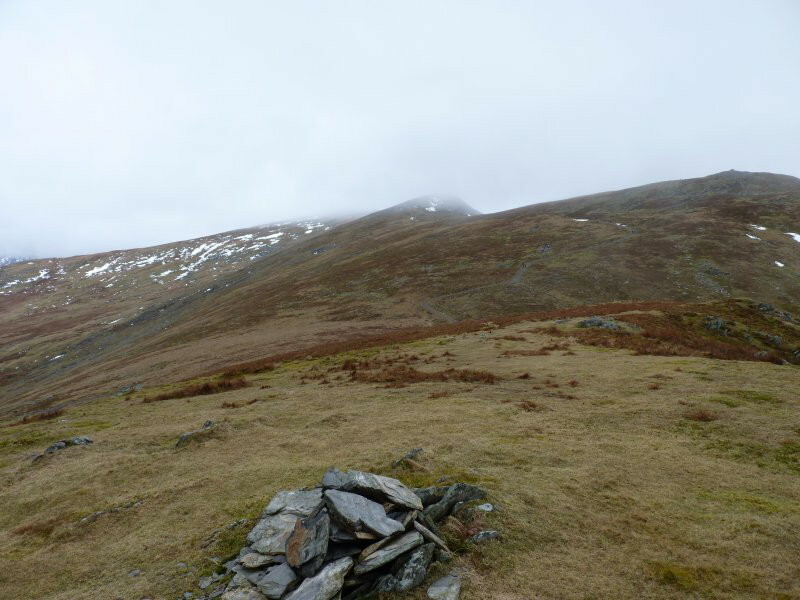 Its an easy walk over White Maiden and on to White Pike, but the drop down from White pike is a bit rough. 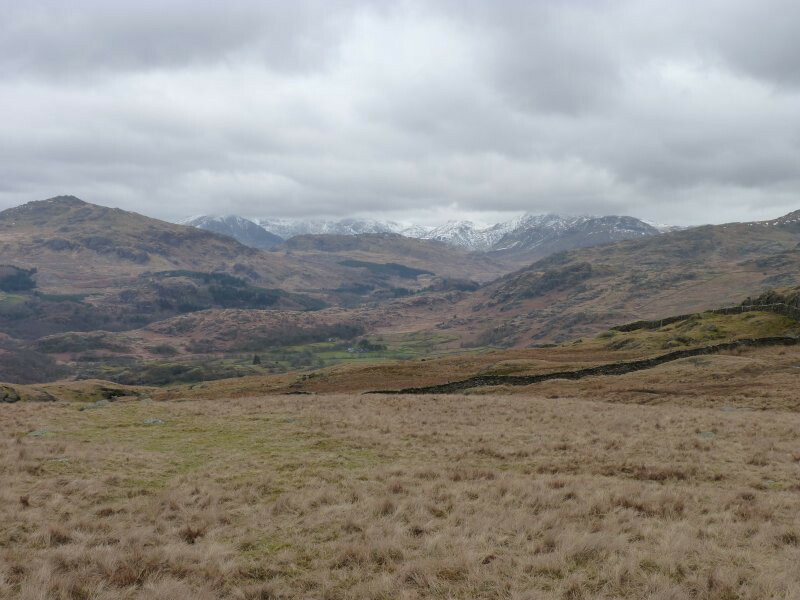 Looking past Harter Fell to the Giants round the head of Eskdale. The cloud seems to be lifting a bit. 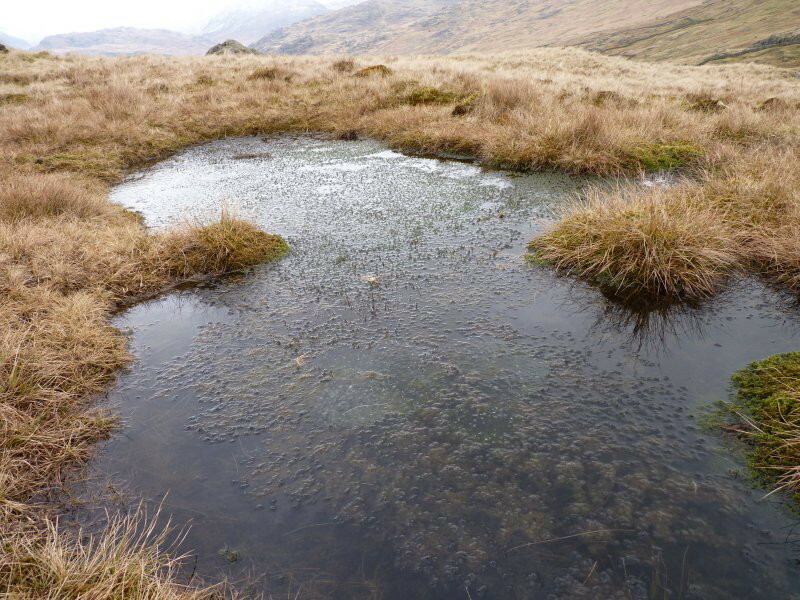 Plenty of Frog Spawn in a little pool on the way to Pikes. Looking back the way I had come The wind was quit ferocious now but at least it seemed to be blowing the fine weather in from the sea. Next stop Caw, still troubled by a bit of persistent cloud. On Caw now looking over to Stickle Pike with it's Tarn nestled on the side of the hill. The Knott and the Duddon estuary from Raven Crag. 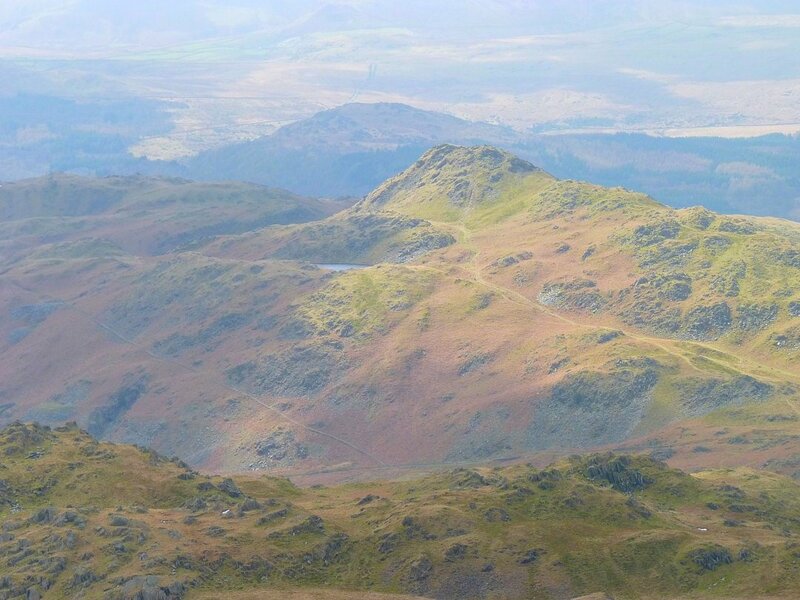 From the Knott I doubled back to Stickle Pike. I found a farmers quad bike track that contoured along the side of the ridge so I was saved the climb back up over Raven Crag. 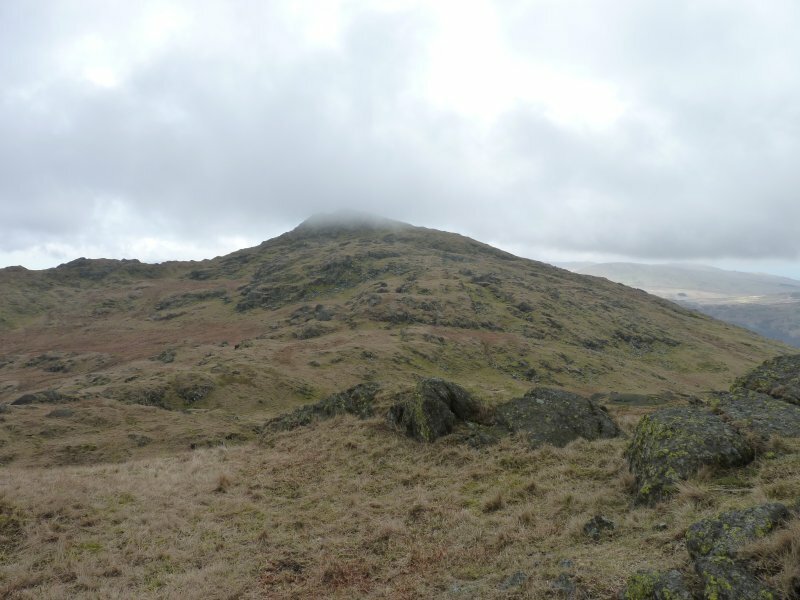 On the climb up Stickle Pike now and the cloud seems to have lifted from the high fells. Rescue helicopter attending an incident on Caw. I have had a look round the news sites and can find no reports of this so hopefully it was just a minor accident. 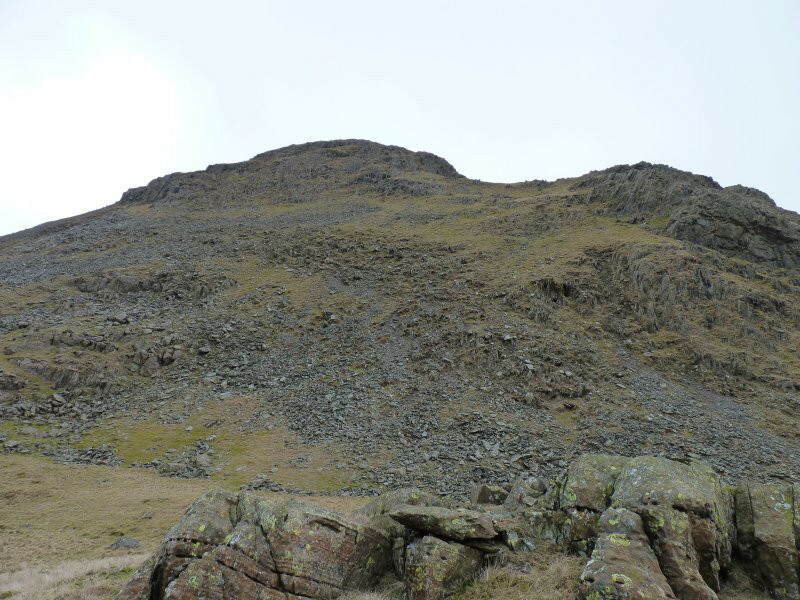 Stickle Pike from the boggy saddle just below Tarn Hill. One of the many charming little tarns on Tarn Hill. The Duddon Estuary again, although the weather was fine it was quite chilly so I found a spot and quickly got the tent up and made a hot drink. Later in the evening the cloud has returned. There might have been a nice sunset but I was so warm in the tent I fell asleep and missed it I was woken at about 4am by the rain absolutely lashing down and it was still at it in the morning so I got very wet when I was packing up. Even these modest fells were clagged in so I followed the GPS on to Great Stickle and made my way down to the road at Broughton Mills from where I had intended to walk over the hill to Blawith and follow the Cumbria Way back to Torver, but instead I followed the road over Bracelet Moor and squelched my way back to the car.